Does your pet stress about vet visits? We are currently offering a product known as Composure Pro. It is an all-natural way to calm your pets. 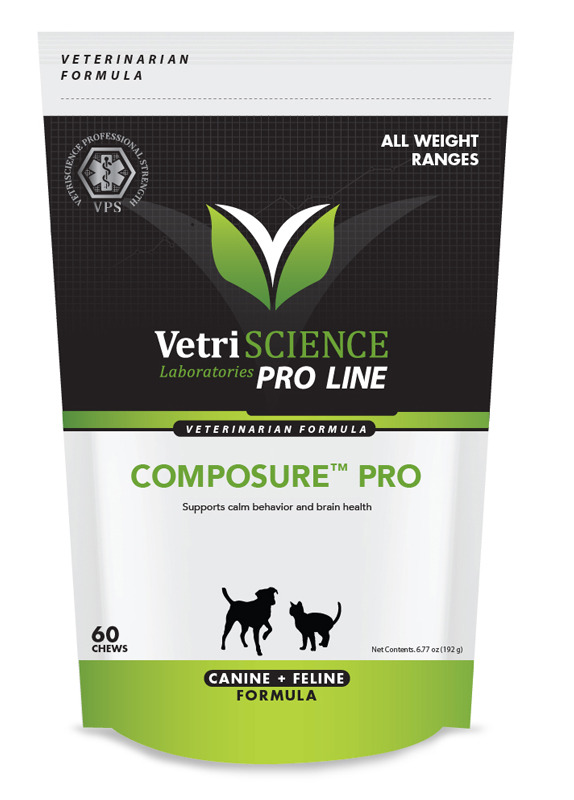 Composure comes as a liver-flavored treat and is great for use during all times of stress including vet visits, storms, car rides, boarding, and more. Simply give your pet the recommended dose of these treats approximately an hour before a stressful event, and your pet should relax without the use of stronger medications. This is an all-natural supplement that will aid in calming your pet without causing them to seem sedated. Since the active ingredients are Thiamine (Vitamin B1), L-Theanine, and C3 (a colostrum complex), you can double, and even triple the dosing (depending on your pets needs), and not have to worry about unwanted side effects. If you have any questions or concerns regarding this product, feel free to contact us and we will be happy to assist you.